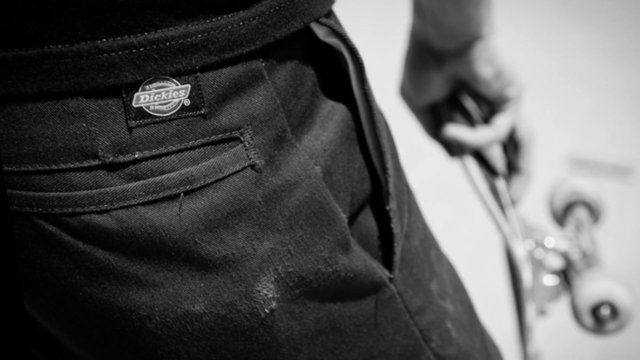 Dickies is a brand with a cult following. The legendary label is an ex-workwear company with a long history that’s steeped in tradition. Their “horseshoe logo” is unmistakable. From hip hop to skateboarding, from Snoop Doggy Dogg to Ronnie Sandoval: everybody wears Dickies! 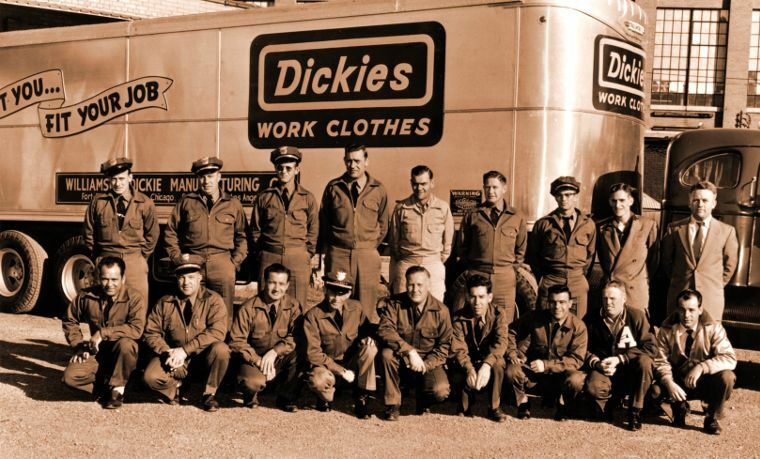 The Williamson-Dickie Manufacturing Company was founded under the name “U.S. Overall Company” in Fort Worth, Texas, in 1922 by C.N. Williamson and E.E. Colonel Dickie. The company developed into one of the world’s largest workwear producers. And that’s for a very good reason: Dickies pants are known for their ruggedness and durability, some obvious qualities you want in your work clothes. In addition to their popular pants, Dickies has a wide variety of stylish streetwear, which might be inspired by their workwear roots and attitude, but come with a hell of a lot of style, too. Their technical skills also lend themselves to making functional winter jackets and boots. Your feet will never freeze again! You can also find Dickies backpacks in our online shop. The Dickies 874 Work Pants and their slim fit version, the Dickies 873, are making a huge comeback, particularly in the skateboarding industry. Dickies even has their own skate team, comprised of big names like Vincent Alvarez, Adrian Adrid, Ronnie Sandoval and Peter Hewitt, who frequently show us exactly how durable their pants are, anyway. Do some test runs of your own with a new skateboard or longboard under your feet.